1 Tourists (background) take a stroll at the Tulip Garden, claimed to be Asia's largest, in Srinagar, India. 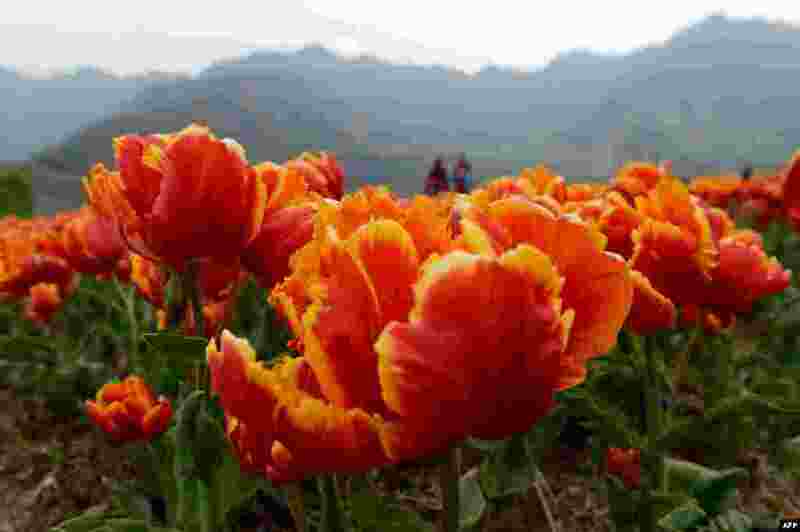 The site is the largest tulip garden of Asia and is spread over an area of about 12 hectares. 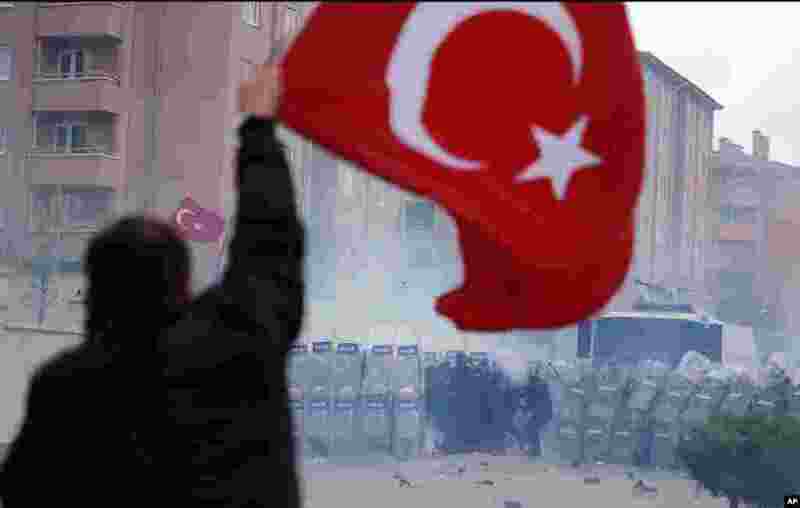 2 A man, holding a national flag with a poster of Turkey's founder Kemal Ataturk, watches as thousands of Turks clash with security as they try to break through barricades mounted around the prison and courthouse complex in Silivri, in the outskirts of Istanbul. 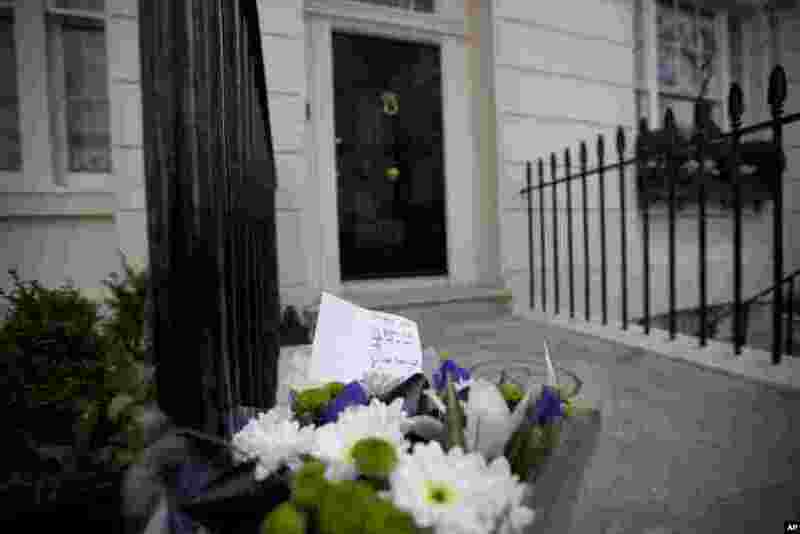 3 A floral tribute is seen after being laid outside the home of the late former British Prime Minister Margaret Thatcher in London. 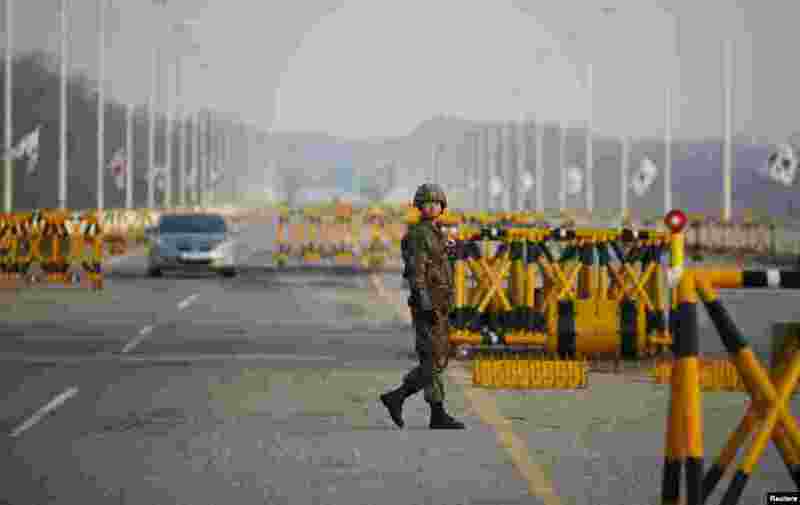 4 A South Korean soldier patrols at a checkpoint on the Grand Unification Bridge, which leads to the demilitarized zone separating North Korea from South Korea, in Paju, north of Seoul.